Lords Of The Underground's Debut LP 'Here Comes The Lords' Turns 25 Years Old! 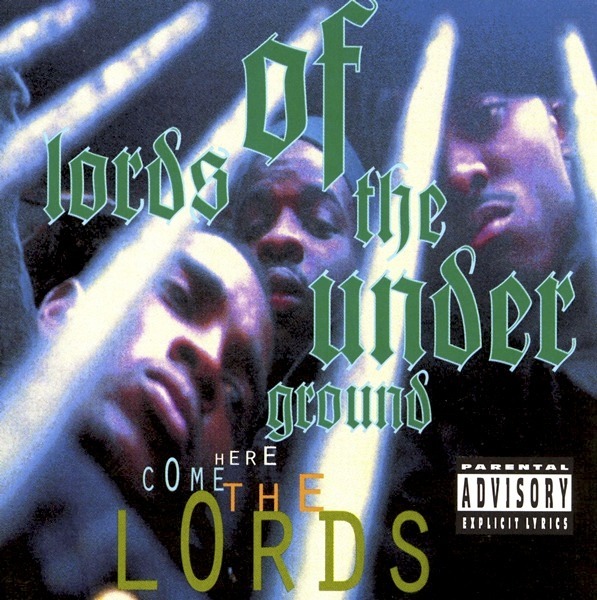 On this date exactly a quarter century ago, Newark, NJ rap trio Lords Of The Underground dropped their debut album Here Comes The Lords on Hip Hop powerhouse Elektra Records. In the early 90s, it was still a big deal to have legendary super producer Marley marl as executive producer of your project, which was a major boasting point for the Lords from New Jerusalem. Adding on the fact that frontman DoItAll Dupré was cousins with “Funk Doctor Spock”, who at one time even serves as the group’s DJ, meant that the “funky” genes must run in the family. Surprisingly, the Lords’ first album was packed with hit singles, with five songs from the album’s 15-track playlist making their way onto the Billboard charts. With “Funky Child” and “Chief Rocka” leading the album’s momentum, tracks like “Psycho”, “Flow On” and the album’s title track just proved that the Lords could hang with the best of the tongue twisters of the era including Fu-Schnickens and Das EFX. Even Notorious B.I.G. was down with the Lords of the “funk’ and even sampled a bar from Mr. Funke for his “Machine Gun Funk” track on Ready To Die. Salute to DoItAll, Mr. Funke, DJ Lord Jazz, K-Def, Marley Marl, and the staff at Elektra for this timeless piece of Hip Hop history!